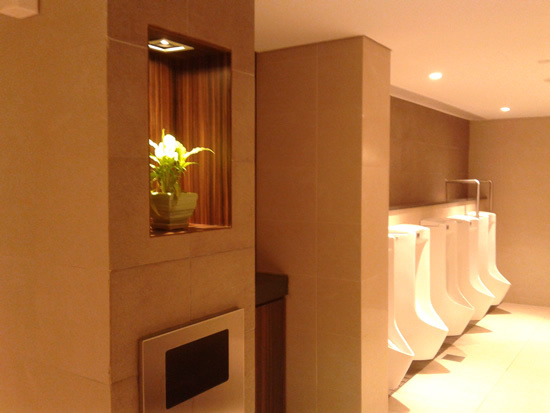 112 Katong is a mall with one of the best public toilet. It was clean, dry and even smell nice! Wifey and I took a break here before going on to pick up our daughter and then proceeding to the next cremation. Unlike JCube we foresee that we will be back here often. May be even more often than Parkway Parade. Hectic day. Two cremations. 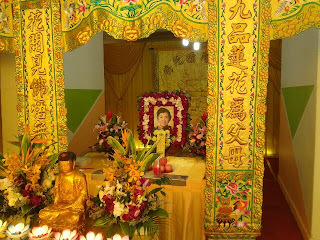 One in Bright Hill Temple and the other at Mandai. Both Buddhist. Afterward went with my brother and sister to visit our mom's niche. The story was my grand aunt had a fever and eventually pneumonia. She was hospitalized for twelve days and passed away on Saturday. Her ashes will be interned at the temple where my mom had originally wanted to be. Don't think we will be back to JCube very often. Reminded me that it was as confusing and messy as Central. Lousy tenant mix, expensive parking. 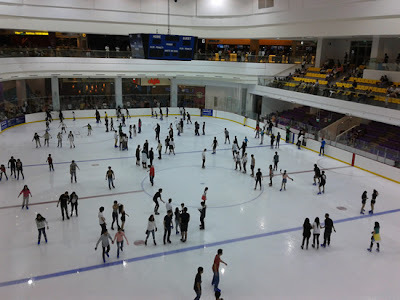 The ice skating at Dubai Mall is much superior too. There is one interesting shop where they sell all sorts of swords and daggers though. Yes, we made the mistake of eating at Itachu Udon & Sushi. The food took half an hour to come and not very good. Any time Ichiban Boshi or Sushi is better.